Each school year brings something new. One of those new things is providing the Lampeter-Strasburg High School students with a bubbly, knowledgeable, and passionate new assistant principal. 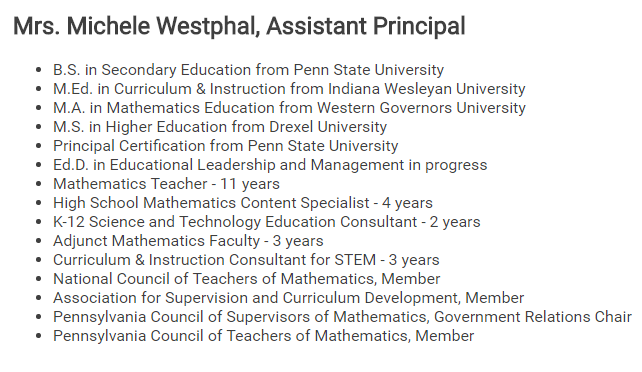 Mrs. Michele Westphal is coming into this position with not one, but three Master’s degrees. 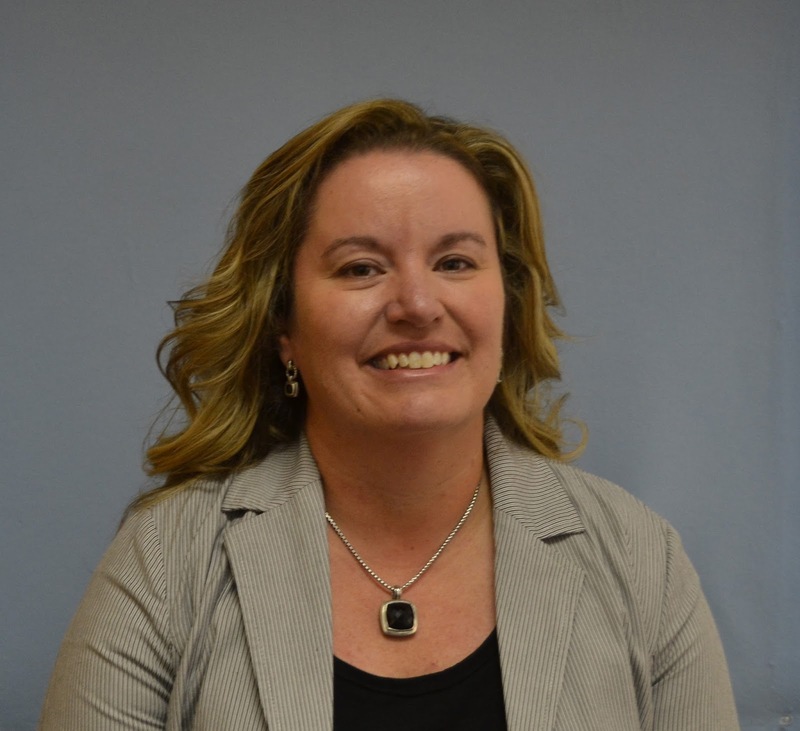 She is currently pursuing her doctorate and seems eager to expand her knowledge of teaching and administration. 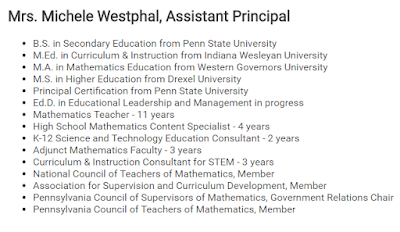 Westphal started off as a math teacher at Manheim Township, and when asked why she preferred a principal position over teaching in a classroom, she emphasized that she wanted to impact a larger group of students. But impacting over 1,100 students is no easy task. How does she plan to do it? She explained that she wants to be accessible and visible to the students whenever she can. Her secret to developing the perfect relationship with her students is to mentor them. It’s essential to balance the trust in friendship with authority and respect that she needs to fulfill her job. But most importantly, she wants to help students find their path and reach their full potentials. Over the past years she was a STEM Consultant and a hybrid coach. She’s definitely missed being in a school community. “I like to pick up the sports section in the paper and see familiar faces.” Said Westphal. She is already looking forward to football and basketball games. She was a basketball coach and played in high school. But there’s no doubt that her favorite Olympic event is swimming. She worked at a pool for many years and eventually managed the pool herself. But behind her many certificates is a positive attitude and a kind heart. When asked what the most valuable lesson she ever learned was, she thought for a moment and went onto to say, “Be kind to others.” It was very clear to see that she is a firm believer of this statement. Throughout the interview she was respectful, kind, honest, and genuine. Westphal has all of the qualities to be a great leader during this school year. 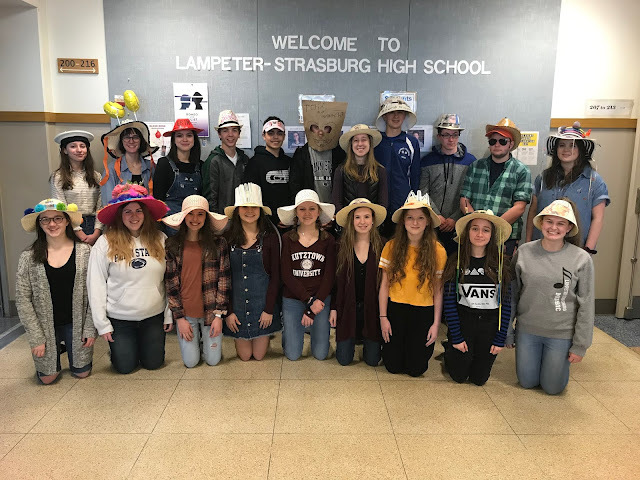 Her likeability will aid her in easily mixing into the Lampeter-Strasburg community and connecting with the students like she hopes. In combination with Dr. Feeney and Dr. Rimmer, the leaders of the high school this year are a Dream Team.